The Chrysler brand’s future has come into question in recent years, but it may be on the verge of gaining a new crossover. Parent company Fiat Chrysler may bring over the Jeep Grand Commander from the Chinese market as a new Chrysler vehicle in North America. FCA enthusiast website AllPar is citing sources familiar with Chrysler’s product plans in a new report suggesting the Chinese exclusive Jeep product will come stateside. 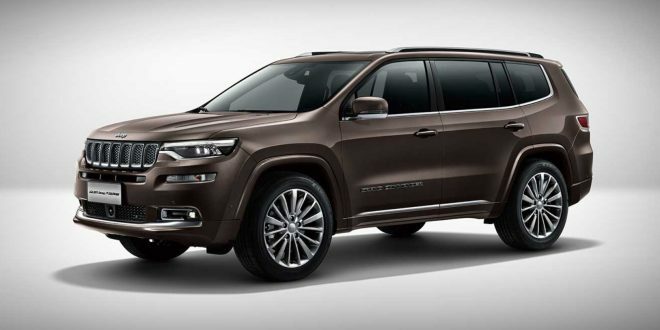 The Grand Commander launched in China earlier this year and basically serves as an extended-length Jeep Cherokee. While the Grand Commander looks mostly like a Jeep, AllPar reports FCA executives feel it would be a better Chrysler product in the U.S. since it isn’t as “Jeep” as the brand would prefer for its home market. According to the report, FCA would produce the Chrysler derivative in the U.S., likely at its Belvidere, Illinois assembly plant. The Belvidere plant currently produces the Jeep Cherokee, of which the Grand Commander shares its architecture. The exact timing for this alleged new Chrysler crossover is not yet known. FCA is reportedly testing the Chrysler crossover in the U.S. under the Cherokee’s sheetmetal, suggesting it could still be a year or two out before it arrives. This should have been here already. That fits the'people mover' focus of the Chrysler brand. Aspen? Given this focus, it would be nice to see them do something interesting with the 300. Maybe a tall, wide, bench seat sedan in the traditional vein? Make it pretty and give it AWD and see if people will try something different. They are happy to live with this layout in full sized extended cab pickups -- make the Ram interior your base and build a sedan around it! This should have been here a year ago when it launched in China.